At Avatan Handling Equipment, we offer a full range of steel and mesh ventilated lockers and tool and equipment cupboards. Manufactured mainly from pre-galvanised steel sheet, our lockers offer a safe, secure and durable storage facility for individual personal effects. Clothing and compartment lockers are available with one or more lockable doors and are ideal for changing rooms in sports facilities, factories and warehouses anywhere. With predrilled holes, lockers may be nested together to form a wall. A choice of locks are available with individual camlocks or latchlock and padlocks. 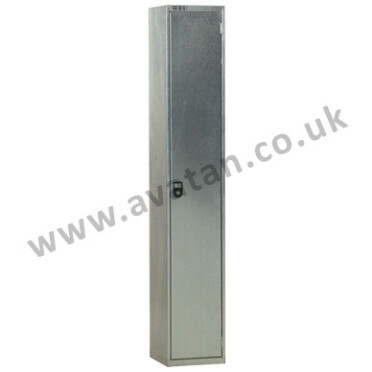 Steel lockers are also available with mesh sides providing fully ventilated and visible storage. 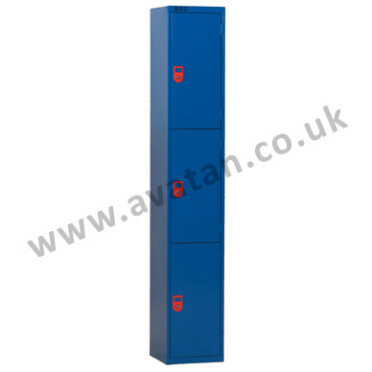 Available in several standard sizes, Avatan lockers may also be manufactured to order. Also available from Avatan are tool lockers and cupboards, again manufactured in pre-galvanised zinc coated and paint finished, with various shelf options. Tool lockers come with a raised lip around three edges and lockable front doors.